Wait, cobblestone generators makes earth cobblestones and not mars cobbles. Hence where is the shop that sells money for earth cobbles? so far as I know there is only one shop that sells money, and its admin's. regular cobblestone does nothing but the node breaker makes cash for digging the cobble as it is created. Slow but it works. UltraNexoV2 has started using Chernobolyte in his builds. Lethal material which I warned him not to produce or use. 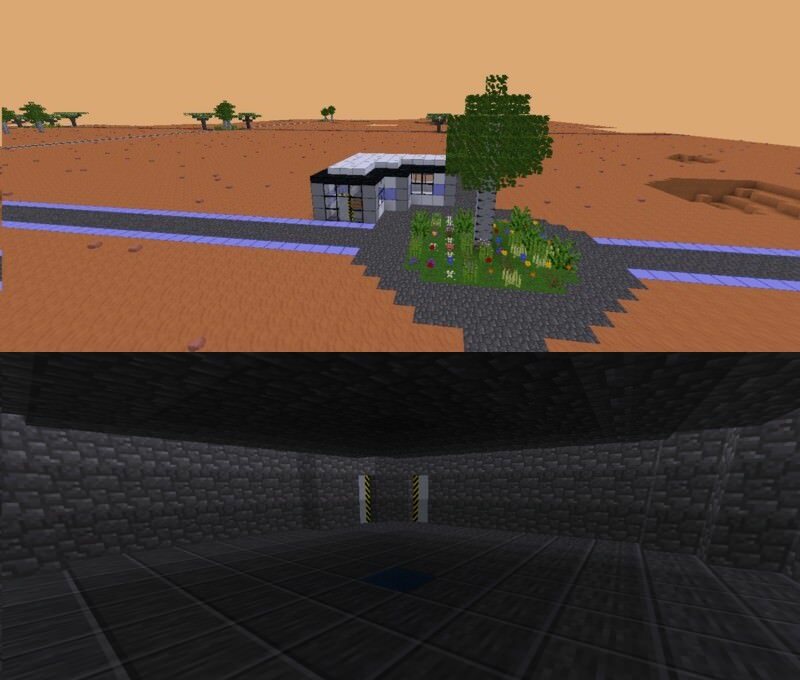 The location is water quarry up the road from spawn south of my base on the same side. This is in a densely populated area. Looks like adr also fell into UltraNexoV2 death trap. I'll let you and archfan take the appropriate measures for this infraction. This is one of the reasons I'm against UtlraNexoV2 setting up his machines in FarAway. Lighter side. Work on upper structure of Mars Dome finally continues. I have several catwalk designs and can't decide which I like best. Decking of the rear of dome decided. The slow work of enclosing the dome will take months. Concentrating on the back. UPDATE: Forcefield is back up on main street straight north of spawn. The generator is before Sires Shop on the east side (Opposite) in a sand building with a rubber tree growing out of it. adr was afk, and he still survive for that. Plus the chernobilyte generators isnt a trap or anything, Im not using it to kill players. And although if I want to use it in my builds, I will try to build in it a private place as a warning for players not to come, even to prevent griefs. Or a further location so not much players will die, Ive removed the gens at the street spawn, Ill build another one at other place. Dont blame me next time if you die by my cherno since its is one of my building's defence. Okay my experiment of using horizontal elevators failed. I was thinking the junction boxes work on 6 points (top/bottom) not 4. The idea was to run a hyperloop circuit from entrances to back of the dome to engineering then up to top of the dome in C&C. So the elevators drop into false ceiling run to the back then drop to another elevator. Out of one hundred 0.7 grade uranium dust, 63 ended up being totally useless 0.0 grade dust. Only 3 dust made it to 3.5 grade worthy enough to make it into reactor fuel... however you need five 3.5 grade to make one reactor fuel rod. The remaining 34 uranium dust were stuck into each grade centrifuge. It cost 50 meld to buy the ore. Considering the costs of building the cascade and powering is very prohibited. Not to mention the lag such a machine creates. Wake up call for those running reactors now... once your cheap supply runs out... the reactors and quarries will go silent. Now 'justjew' decided to take racist nazi slant with poor German and old school jew jokes and slants. I wonder if they are related... as in the same IP. Other things... Eco101, who was a pain, base was totally erased. Maybe his 'brother' Autumn_Days was responsible. Eco101 complained that A_D was on this computer and one time I ask Eco101 who was Autumn_Days it wasn't Eco101 at all. At least how he talks. Good riddance either way. Other news... secret project proceeding nicely ... when I don't have to deal with trolls. Met up with archfan and introduced him to my hidden project, Southern Cross. archfan start protecting the core shop/hotel buildings and main roads (Red/Blue/Yellow/Green) under archfan, Regulus and myself. Side roads still need to be protected. Orbital station is still a work in progress. 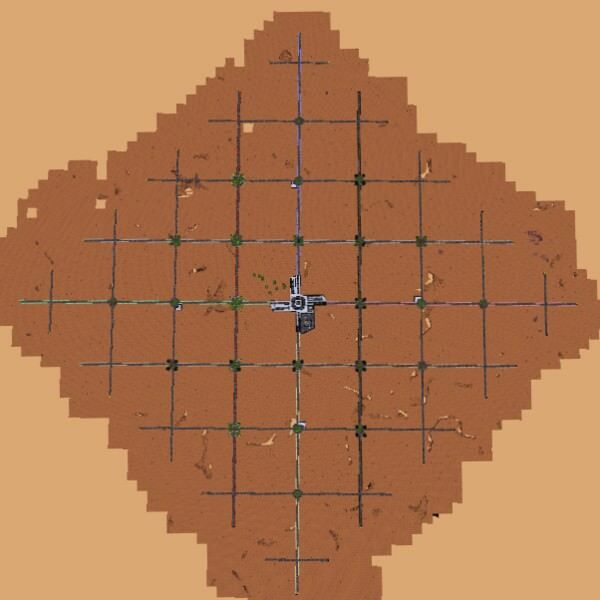 To all players, Southern Cross is planned to be a NEW free build area with 4 OPEN mines set 200 blocks from core. 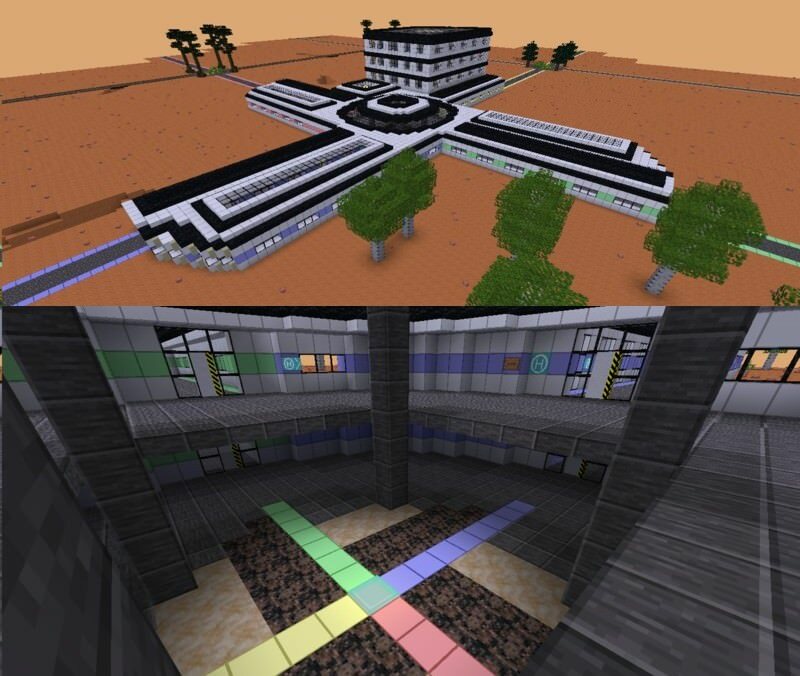 The core of Southern Cross is a compressed version of spawn with shop area for Regulus and archfan to setup duplicate shops and a hotel and storage area. The entire area is over 800,000 square blocks. It will hopefully have it's own hyperloop station joining FarAway, Sand City and spawn. Once the place is ready and protected I will be stepping back from Southern Cross. I do not have any builds planned for there. I turning it over to Regulus and archfan to manage and own the area and roads. This is an imagined reboot of what I think a planned settlement should be. Hopefully this should encourage other long term players to build settlements and make urban planning part of their builds. The area has 4 open mines with entrances where you can recharge your air tanks and suit. Southern Cross extends for 450m from center with roads every 100m. Plenty of room to build mine explore. Area is being turned over to Regulus and archfan who have already protected the roads and main buildings. 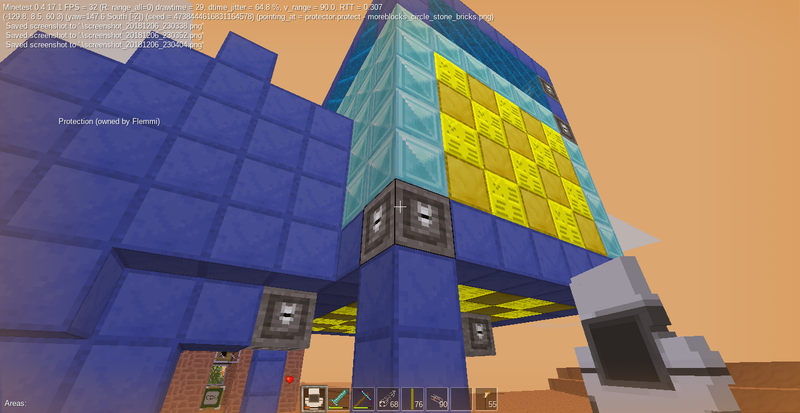 Core buildings have some air and open mine stations have air. Space station under development. It will be up to them to add Southern Cross to main hyperloop system. Actually its suppose to be a pinwheel or ninja star shape. Getting it filled with air is a challenge. It will be interesting how this area develops.... spawn has gotten mined out with no real room to build. People tend to cluster around each other so 4 open mines might mean people build out a bit. I was going to go only 350 but added an extra 100 just in case. It's back up.... also I found your fighter/shuttle you lost. It was just outside one station in Southern Cross.